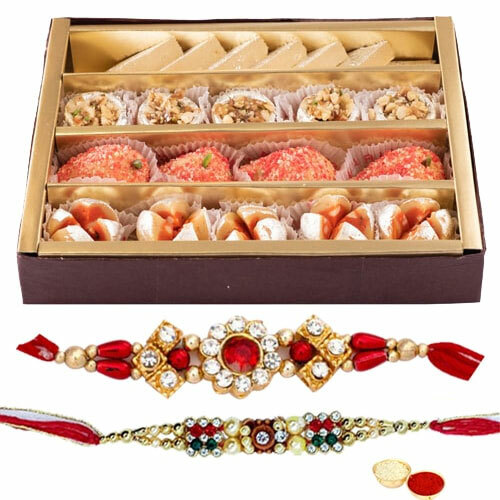 Make your siblings and loved ones feel special this Raksha Bandhan when you send them this Popular Gift of Tantalizing Haldirams Sweets Pack wrapped up with the scent of your love and added with a free Rakhi, Roli Tilak and Chawal. The gross weight of the Sweets Pack is 250 Gms. The pattern of the Rakhi may comes with variation.